Our dogs are all located in foster homes. We do not have a kennel facility to house our dogs. We have foster homes in the Tampa Bay Area. How can I see your dogs? If you are interested in a specific dog, please fill out an application online. The application will then be processed and the foster parents will contact you directly to set up a meet and greet. If you are just browsing, check out our events section to find an event near you. We will contact your vet to get a reference check, verifying all present pets are up to date. A meet and greet of the dog(s) of interest will be arranged. Adoption contract signed, if applicable a spay/neuter contract signed and adoption fee collected. Can I read the contract before I make the decision whether to adopt? Yes, please click on adoption contract to access our current contract. We are always in need of assistance! There are plenty of ways we could use your help. Donations: We are a non-profit organization (pending application) and can always use monetary donations. Please email info@fpar.org or donate online here via paypal. We also have an Amazon wishlist with items that are needed. Items will directly be shipped to the rescue. We are always in need of supplies and material donations, please check out the ”Donate” page for more information. The dogs truly appreciate your assistance! Woof, Woof! Fostering : The number of dogs lives we are able to save depends primarily on the number of foster homes. Please consider opening you home to a dog in need! Any of these roles can be completed when you have the time. You can commit to any that will fit into your schedule. Please consider volunteering for us! We receive most of our dogs from the Tampa Area shelters. We check the “urgent” list for those dogs who are in current need to be saved. Are your dogs up to date (UTD) with shots? Yes, for the majority. Our dogs our all vaccinated prior to adoption with a possible exception (puppies). Some dogs may need to have their series completed with the adopter. This will be discussed during the adoption process. This cost will be the adopters cost after adoption. We spay or neuter all of our dogs when over 6 months old and healthy. Some dogs because of health reasons we hold off until they are healthy and can best recover. If they find their home prior to that taking place, they can be adopted with a spay/neuter contract and deposit. Why should I choose to adopt from FPAR when I can get a dog at the shelter for much less? We can not force anyone into adopting specifically form us. This is a personal choice. When you adopt from FPAR you have a peace of mind that no shelter is able to provide. FPAR does live directly with ther foster parents as members of their family. They participate in the daily day to day activities giving insight into the dog’s personalities, likes, and dislikes. The foster parent is able to provide the stability, love, care, socialization and training that a shelter is unable too. As an adopter, you are provided much more insight into your dog’s behavior. This puts you at an advantage when choosing the right member for your family.es about your rescue dog, down to the very smallest oddities of their personality. FPAR stands behind their dogs and every adoption. If you need to return your beloved pet for any reason, FPAR will accommodate the return. FPAR has a strict quarantine period with the foster homes before an adoption can take place. This is to ensure your new family member is healthy enough to be with other pets at home. So, where does the money go that FPAR collects from adoption fees? FPAR is a 100% volunteer run, no kill, and donation based 501c3 (pending) nonprofit organization. Our mission is to reduce the number of homeless dogs and save the dogs who are set to be euthanized. In many cases, dogs vetting and care cost are considerably more then the adoption fee. 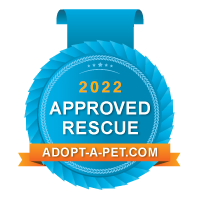 The adoption fee for your new dog may cover some or all of his expenses during his time with his/her foster parent or possible help assist another dog to be saved. Adopting from FPAR saves more doggie lives! How is Furever Paws Animal Resuce different from the shelters and Humane Societies? Humane Societies and shelters are publicly funded and have paid workers. FPAR is all volunteer and donation based. Humane Societies are able to keep their adoptions up and their cost low by adopting the best and killing the rest. We work with these places to rescue these animals before its too late. We operate on adoption fees and donations. Why should I rescue a puppy and not buy a dog from a Pet store, neighborhood breeder? Pet stores sell puppies for pure profit. These puppies are from backyard breeders or puppy mills. Their lives are spent in horrible living conditions. Many puppies later in life have issues due to the tortured life they were lead to live. Purchasing a puppy from one of these places does not help with controlling the pet population or helping our efforts to become a No Kill Nation. Do you have a pricing system for the dogs you have listed? Below are the basic standard fees we go by.